As early as the seventeenth century, there were primitive wagonways serving coal pits in the Lothians. 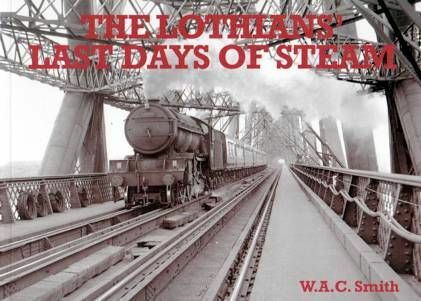 In 1831 the Edinburgh & Dalkeith (horse-drawn) railway opened, and the Lothians had their first taste of steam with the opening of the Edinburgh & Glasgow Railway in 1842. The next fifty years saw a substantial expansion of the railway network, with routes pushing out from Edinburgh to towns in the Lothians and the Borders, This book covers the last years of steam and features over 50 photographs.